If you follow along on Snapchat and Instagram you would have seen that last week Matt and I took the boys down to beautiful Byron Bay for a few nights. We stayed in a beautiful beach house and planed on lots of beach time but the weather had other ideas. 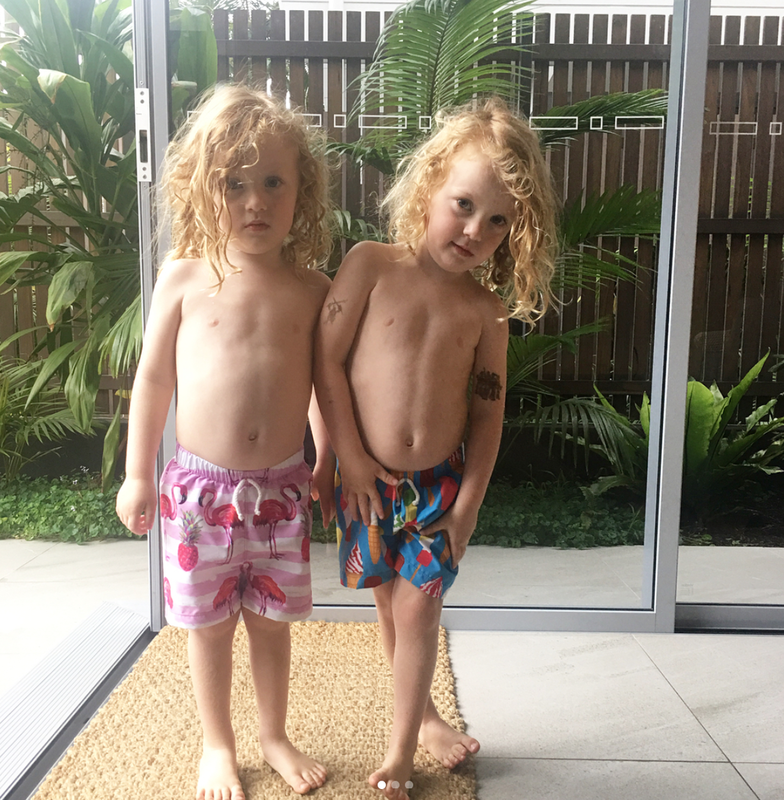 It rained pretty much the whole time but it was still lovely to getaway and the boys hit a BIG TWIN MILESTONE...They slept in their own bedrooms for the first time ever. It was really cute to see them make their own choice (even if it was based on the colour of the cushions in eachroom). You will see in the Vlog how they went! I had so many questions about our accommodation so I reached out to the lovely team at Byron Bay Holiday Rentals and they have generously offered a 10% discount* for our community. We stayed at Koko's Beach House, there are two available, you can see them here and here. *10% discount off your accommodation when you mention “The Sleep Mama”. To receive this discount you must book your stay before November 30th 2017 and book your holiday outside of peak season.